I’ve worn these black wedge bow boots so much already, and I showed you them in a few different outfit posts now. Now this is the post dedicated to them! Someone commented asking me about them and the sizing because they’re from China, and I ordered my regular UK size 5 and they fit perfectly! I would recommend just ordering your normal size. I cannot explain enough how much I love these boots! They look so beautiful, and they honestly are the comfiest boots I own. I’m not much of a heel person, but I like to wear wedges sometimes. But these ones have a little platform as well as a wedged heel. This makes them really comfortable to wear and they add a little bit of height without looking like high heels. 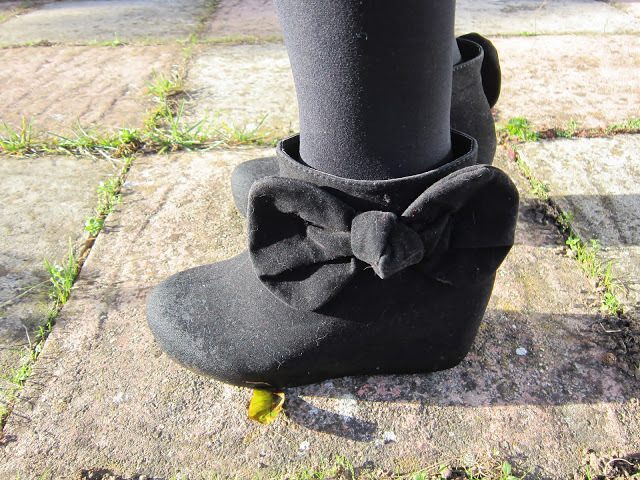 The big bow is so cute and adds a little bit of detail to an otherwise plain black boot. They have a velvety suede feel to them, and have a side zip to get them on. They’re excellent quality too. I wasn’t sure what to expect quality wise because the price is so cheap, but they look like they could be off of any high street store shelf, and appear better quality than my Primark booties! These were only $15 from Lovely Fashion, and its free worldwide shipping. It takes about 3 weeks for delivery, but for approx £10, you literally have no reason not to buy these! I wear mine loads, they go with everything! Do you like them? They do literally hundreds of other styles too! How do you feel about Asian brands? Love the outfit as well, btw. These are gorgeous! 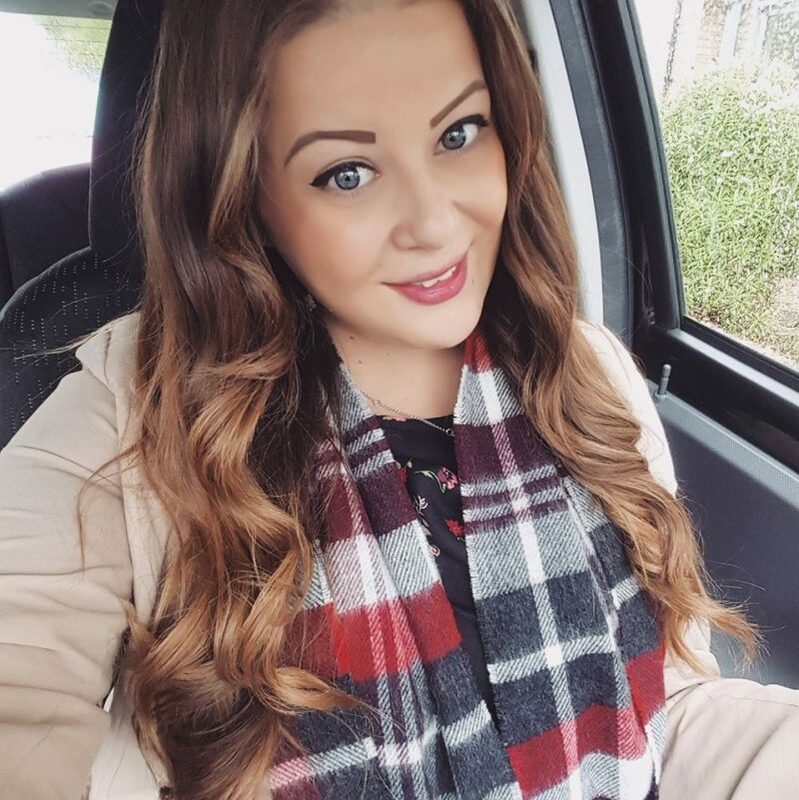 Love them – will be taking a look! really loves these but I am personally fussy when it comes to shoes and prefer to try before I buy. 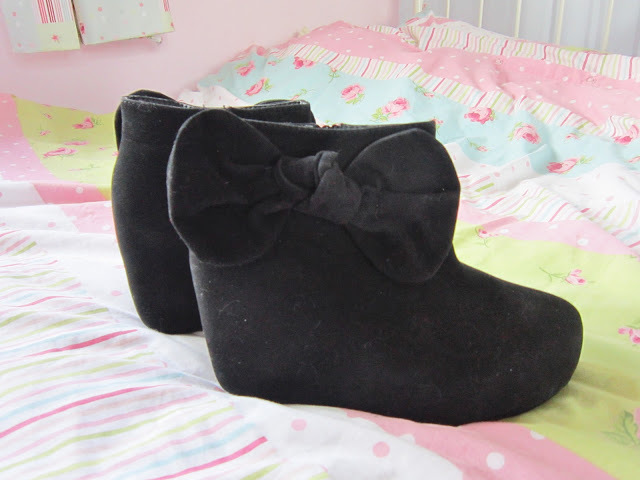 Aw these must be the cutest boots I have ever seen! These boots are so pretty! And easy to wear with lots of outfits! They look gorgeous and really easy to wear as well 🙂 the bow is so cute ! 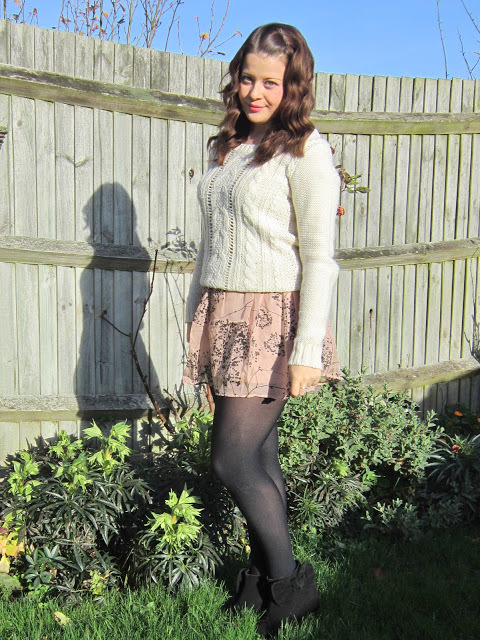 I love these shoes, they looked lovely the other day and so comfy too!